Our patrons are Lord Alf Dubs, author Hari Kunzru, Lord Bill Morris, former leader of the Transport and General Workers Union and Emma Thompson, actress, writer, director, comedienne and campaigner. 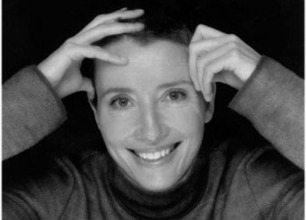 Emma Thompson is best known as an award-winning actress, but her talents go much further than that. Writer, director, comedienne, campaigner – she has the distinction of having won Oscars both for acting and for screenwriting, for Howard’s End and Sense and Sensibility respectively. In 2005, she combined those talents to make Nanny McPhee – a delightful children’ s film. Emma and the film’s co-star Colin Firth agreed that the proceeds from ticket sales for its West End premiere should go to the Refugee Council. In previous years she has supported our Day Centre with very generous donations that have allowed us to hold our annual festive party for clients. And as well as financial support, Emma has often come along to help in person. 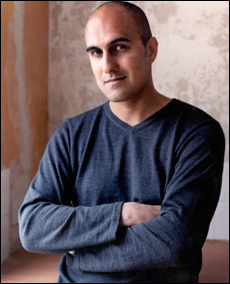 Hari Kunzru is one of this country’s brightest literary talents. His debut novel, The Impressionist won a number of prizes and is currently being made into a film. It also led to him being named by Granta literary magazine as one of the best young British novelists. The follow up, Transmission was also praised by the critics and Hari has become a well known figure on television and radio. Hari’s association with the Refugee Council began when he donated prize money from the Daily Mail to the Refugee Council in protest at coverage of asylum seekers. He has twice taken part in our literary evenings and continues to be an active supporter. “I am very pleased to become a patron of the Refugee Council. My association with the organisation stems from my refusal of a literary award sponsored by the Mail on Sunday newspaper. In protest at its editorial policy of vilifying and demonising refugees and asylum seekers I suggested that instead of paying £5000 prize money to me, they should write a cheque to the Refugee Council. I was motivated by my anger at the way refugees and asylum seekers are treated in the UK. Britain is a wealthy country and a safe country. It also has a reputation as a fair country. We have a duty of care for victims of persecution and conflict. At the moment, we are failing shamefully in that duty. Lord Morris is a man of great distinction and commitment. 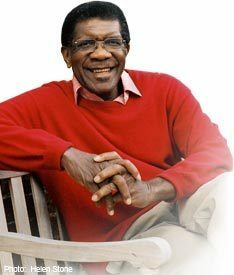 He was the first black trade union leader in this country, leading the powerful Transport and General Workers Union for 12 years. He was born in Jamaica and rose to lead his union after starting on the shop floor in Birmingham. 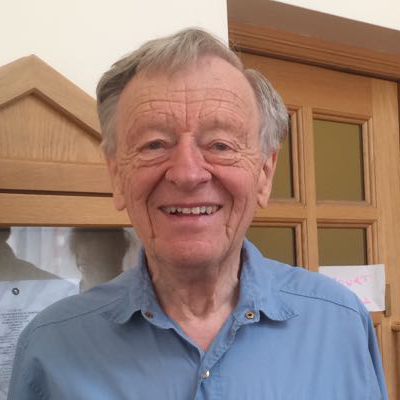 Lord Morris’s involvement with the Refugee Council began when he was a strong supporter of the campaign to end the voucher scheme for asylum seekers. “Now more than ever Britain needs an asylum and immigration policy that has integrity, not one that is dictated by hostile headlines or driven by fears about security and terrorism. That is why I am pleased to become a patron of the Refugee Council, which has taken a lead in supporting asylum seekers and refugees. Whilst holding office as General Secretary of the Transport and General Worker’s union, I worked closely with the Refugee Council to end the government’s voucher scheme. I believe that refugees, like other immigrants, make a huge contribution to the UK and we should be giving them opportunities instead of denying them basic rights. Lord Alfred Dubs is a Labour politician and leading refugee rights advocate. Formerly the MP for Battersea, Alf was appointed as a Labour life peer in 1994 and in 1997 he became Parliamentary Under Secretary of State at the Northern Ireland Office . He is a former Chair of Liberty, a trustee of Action Aid and the Immigration Advisory Service and former Director of the Refugee Council. In 2016, Alf sponsored an amendment to the Immigration Act 2016 to offer unaccompanied refugee children safe passage to Britain, having himself arrived in Britain in 1939 as a six-year-old refugee fleeing the Nazis in Czechoslovakia on the kindertransport. Dubs is now campaigning to ensure that the main legal routes for refugee children to reach the UK remain open after Brexit. For over 60 years the Refugee Council has been a significant support for refugees and asylum seekers coming to the UK. The work it does is vital both in terms of the practical support and the advice it offers to those who arrive here having fled war, human rights violations and torture. The most vulnerable refugees are of course children, especially those who arrive unaccompanied having lost their family, been separated from them or in some cases having been trafficked and subject to abuse and exploitation. It is thanks to organisations like the Refugee Council that these children are offered protection and support. I know from my own experience how bewildering it is to arrive in a new country so I am especially grateful for the work the Refugee Council does to make that experience less traumatic for the refugee children of today.